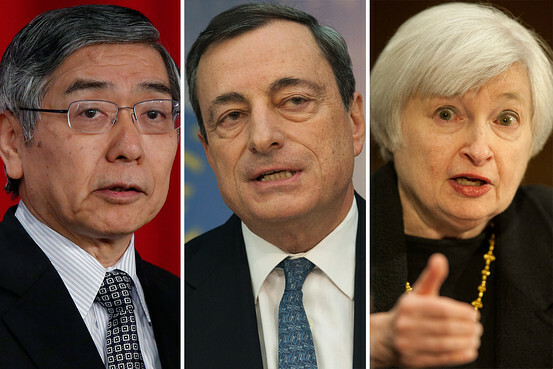 Central bank Presidents like Draghi & Yellen dropping all pretenses of being able to hit their targets & instead passing the blame onto political bodies such as Congress. The last eight years prove Central Planning doesn’t work. Global Central Banks have spent over $14 trillion, and maintained ZIRP/NIRP for eight years, punishing savers and those relying on interest income… And what has the world got to show for it? The weakest recovery (if you can call it that) in decades, wealth inequality at extremes, and a record number of individuals relaying on welfare/ entitlements. Never before in history has so much money been spent, accomplishing so little. And it’s set the stage for another massive financial crisis." They should be....they have been exposed.